Learn how to make this silky smooth french buttercream frosting. An egg-yolk buttercream can sound intimidating to make, but I have step by step photos for you so you can master this french buttercream frosting the first time out the gate. Take your cupcakes to a whole new level with this French Buttercream. So when it comes to the art of sweets, the French do it best. And so of course, a French buttercream you know can’t disappoint. Of course like a lot of things french, like macarons or madeleines, it can always sound a bit intimidating doesn’t it? But it’s not at all. I promise. Let me pull back the buttercream curtain on this one and show you how it’s done. What Is The Difference Between French and Italian Buttercream? Well first of all let’s establish there are two major types of buttercream out there. 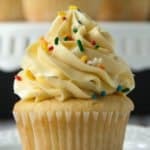 A beaten butter method- like traditional American buttercream that uses powdered sugar to sweeten it, a flour buttercream that is made by heating flour, milk, and sugar on the stove until it becomes a thick paste, and a German buttercream which is made by making a custard with egg yolks. But then there are the egg-foam or cubed butter buttercreams. Like swiss meringue you may have heard of? Well there is also then an Italian meringue and this French Buttercream. 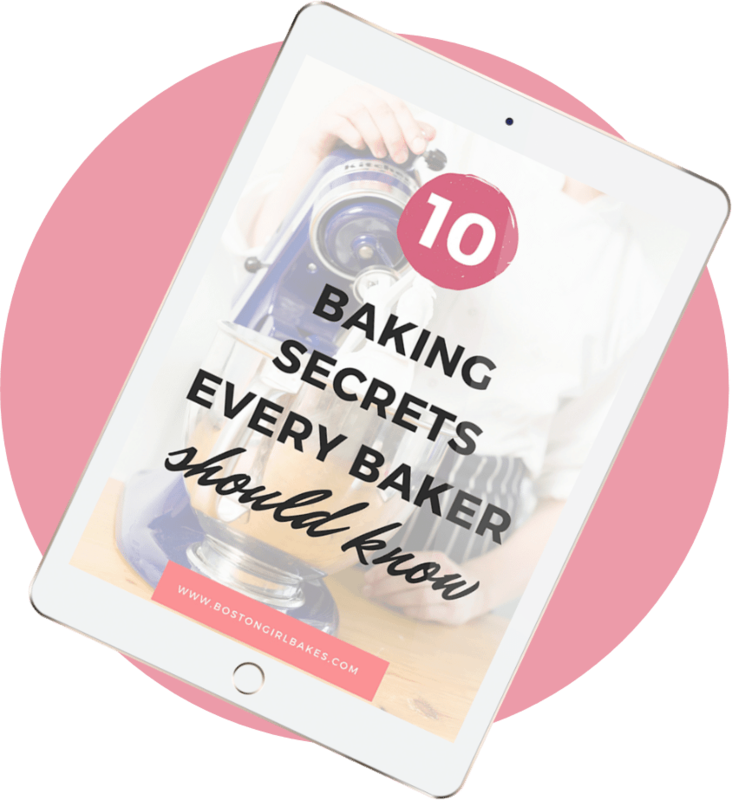 If you want to master making all 6 buttercreams then be sure to check out my Buttercream Basics Guide! You will heat a sugar water syrup over the stove and then drizzle that into the egg-yolk foam, with the mixer running (so a stand mixer is recommended, but you will see by my step by step photos it can be done with a hand mxier if that’s all you got). What if I can’t find pasteurized eggs? 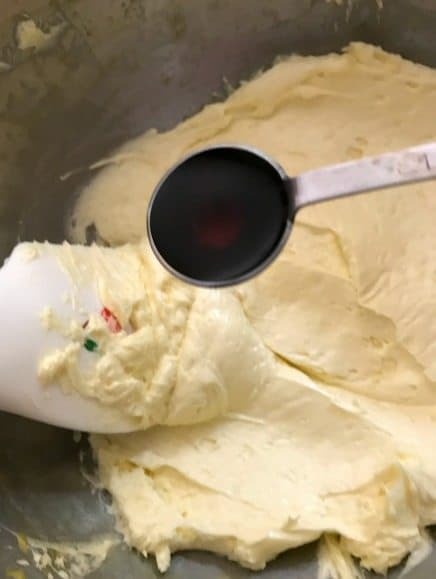 If you are worried, or can’t find pasteurized eggs you can also try making this buttercream using the swiss meringue method which is to heat the sugar with the egg yolks over a double boiler until the temperature reaches 160ºF. Once you have added the hot syrup, then you will mix until it is cooled then add in your cubed butter. It’s important to not add your butter to early before the mixture has had time to cool because then you will have just a soupy mess on your hands! This buttercream is light, and silky and less sweet than a traditional American buttercream and totally worth giving it a try. Cons: Does not hold up heat well, can be a bit more difficult to pipe more intricate decorations with (aka buttercream flowers). 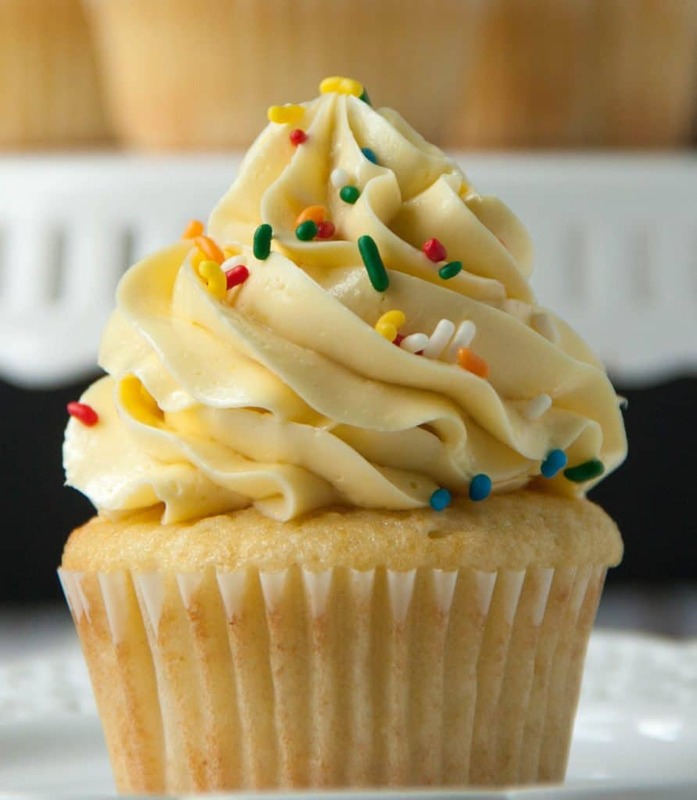 The buttercream has a bit of a pale yellow color that is not ideal and a bit more difficult to tint with color. Here is a step by step photo tutorial for you to master french buttercream! Combine your sugar and water in a medium saucepan and heat over low heat until the sugar has dissolved. Then increase your heat to medium-high and bring the mixture to a boil. Step 3: Whisk your egg yolks into a foam. You will do this in your stand mixer or medium sized bowl if using a hand mixer. You can even do this with a whisk at this point if you want. The egg yolks will be a bit foamy and pale yellow. Step 4: Stream in your hot sugar syrup. You want to do this step with the mixer running. So if you have a stand mixer, it’s recommended. If you have a hand mixer only, I recommend you add a little at a time, mix, then repeat. Pro Tip: Don’t add all the mixture at once or you will end with scrambled eggs instead! Your mixture should increase in volume, and become a lot lighter in color. You want to continue to mix to bring the temperature down before adding the butter. Pro Tip: Feel the bottom of the bowl. Does it feel cool? Now you can add in the butter, just a few tablespoons at a time. Mix the butter in, and continue to add the butter until all has been added and incorporated. 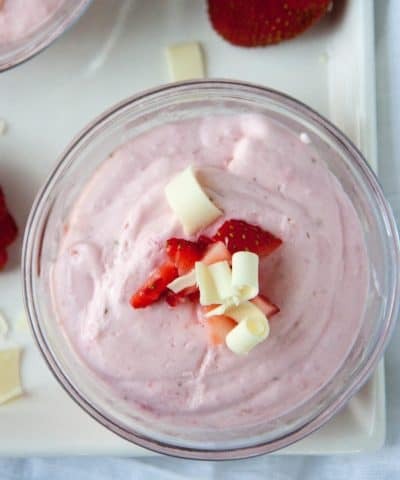 Step 6: Continue mixing until light and creamy. 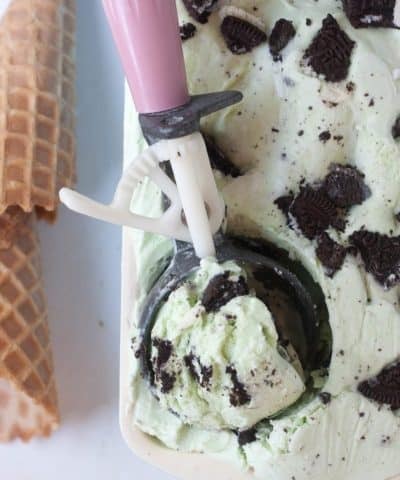 This step may take about 5 minutes or so, longer if you are using a hand mixer. And don’t forget to stir in a bit of pure vanilla extract. Step 7: Time To Frost! For the cupcake picture below I used my go to vanilla cupcake recipe. But you can use really any cupcake you want. Maybe my one bowl chocolate cupcake recipe instead? Be sure to add the hot sugar syrup gradually to the egg yolk mixture. Otherwise you will just have scrambled eggs on your hand! Make sure your sugar-egg mixture is cool enough before adding the butter. Feel the bottom of the bowl before adding your butter. If it’s warm, wait a bit more! 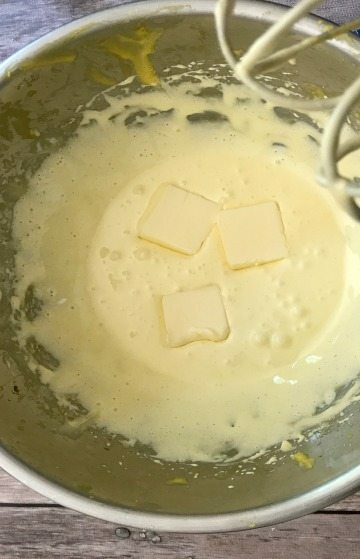 If your mixture separates when adding the butter, continue to mix. It will come together! 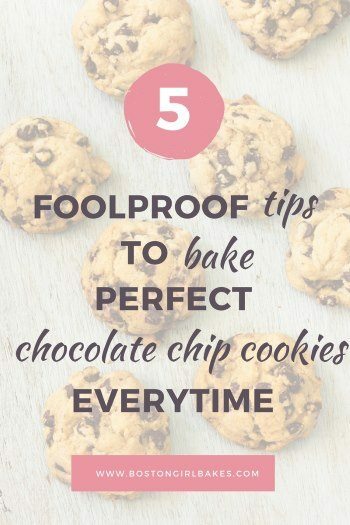 You can also try putting your bowl of frosting in the fridge to cool down, then try re-whipping again. Can You Freeze French Buttercream? How Long Can French Buttercream Sit Out? If I am using the buttercream within two days I will store covered at room temperature. If I am using within a week I will store the buttercream in my refrigerator. You may need to re-whip again in your stand mixer to get to that desired consistency. If I am not using the buttercream within a week, I will store in a container in my freezer for up to 2 months. I will then allow the buttercream to thaw overnight in the refrigerator and whip back to desired consistency. Want to learn more? Check out these articles! If you need helping frosting that cupcake then check out this post (+ video!) on how to frost the perfect cupcake. 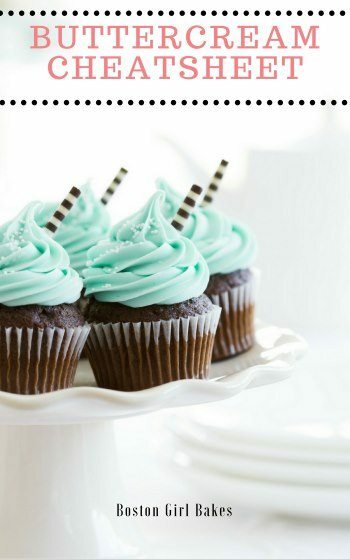 And if you need help in baking the perfect cupcake, here are 15 tips in baking the perfect cupcakes as well. And don’t forget to grab a copy of my Buttercream Basics Guide and master making buttercream once and for all! A French buttercream made by whisking a hot sugar syrup into an egg-yolk foam! Silky, smooth and mildly sweet. Combine sugar and water in a medium saucepan. Heat over low heat, stirring, until sugar has dissolved and the syrup is clear. Increase heat to medium-high and allow syrup to come to a boil. 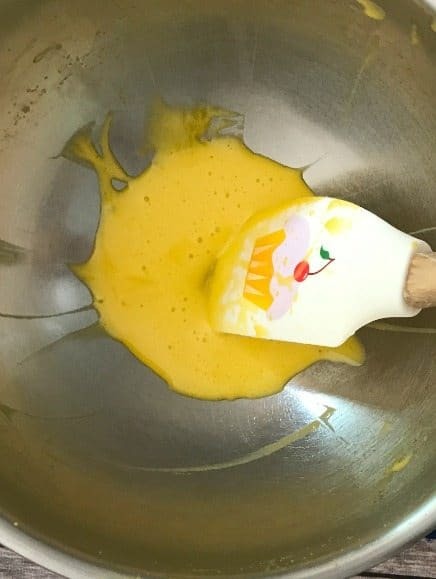 Place yolks in the bowl of a stand-mixer fitted with the whisk (or, if using a handheld mixer, in a medium mixing bowl) and beat until thick and foamy. 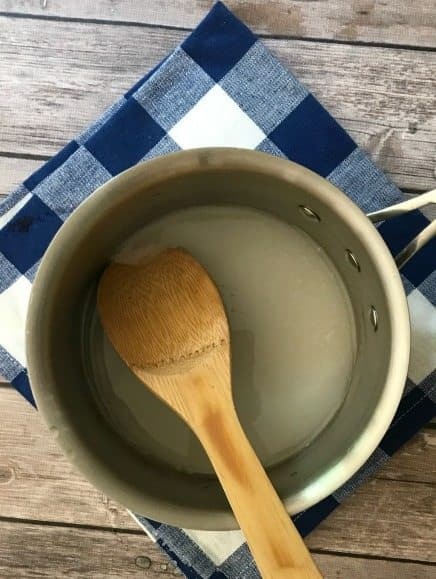 Cook syrup until it registers 235°F, then immediately remove from heat. 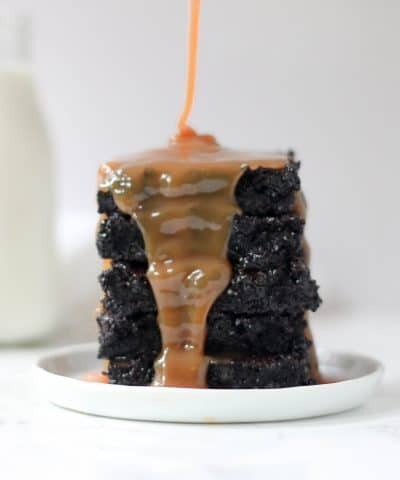 With the mixer running, slowly drizzle hot syrup into the bowl with the yolks: don't pour the syrup onto the whisk, or the syrup may splatter against the sides of the bowl; instead, aim for a spot close to the whisk. 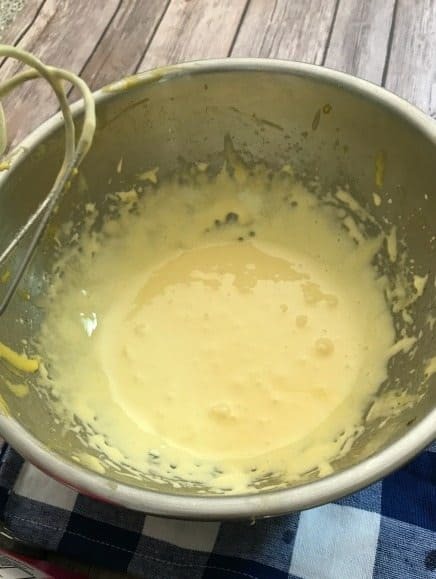 Once all the syrup has been added, keep mixing until the bottom of the bowl feels cool to the touch and the yolk mixture has cooled to room temperature. 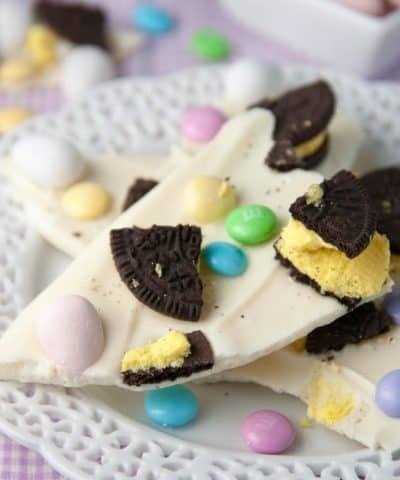 Make sure your sugar-egg mixture is cool enough before adding the butter. Feel the bottom of the bowl before adding your butter. If it's warm, wait a bit more! If your mixture seperates when adding the butter, continue to mix. It will come together! You can also try putting your bowl of frosting in the fridge to cool down, then try re-whipping again. I had no idea there were so many different types of buttercream! And I also had no idea it was this easy to make. These step by step directions are perfect for the novice like me. Hi Karyl! Yes this is a bit different than your traditional American buttercream, but it’s so rich and totally worth trying. Yes glad you like the step by step photos too! This is a great step by step tutorial! And I had no idea there were so many butter creams, so thanks for explaining that, too. Hi Colleen! Thank you 🙂 Yes much more than most think. If you’re like me you grew up thinking there was one kind only. This is definitely a more advanced buttercream but totally worth it. 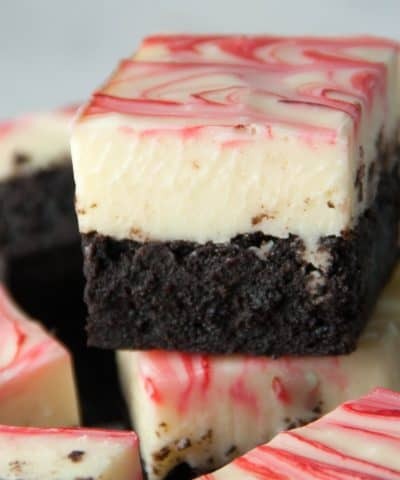 This frosting looks amazing! I would lick the bowl clean and have to make more. Thank you for the step-by-step instructions. You make it look so easy that I am going to have to give this a try. You’re welcome Deseree! Hope you like it! I’ve never heard of an egg yolk buttercream! I love swiss meringue buttercream and of course, american buttercream is always an easy go to but we welcome a challenge in this kitchen! The upcoming snow day will be a perfect time to practice (we’re in Boston too!) . 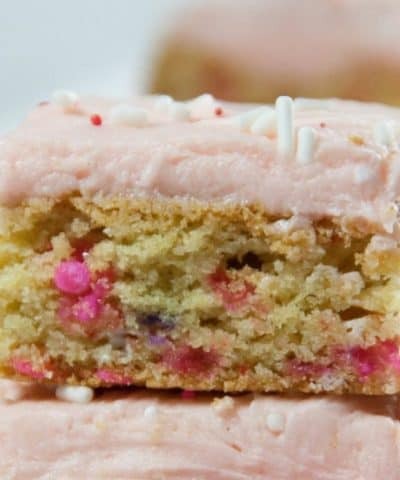 I love your tip about making the buttercream in advance and freezing it! I have a big cake project to do this month and that is EXACTLY what I’m going to do! Hi Lauren! It’s so nice to hear from a fellow Bostonian. Yes it’s definitely different than your traditional American buttercream. But yes a bit more involved but totally worth trying. Yes enjoy making this on your snow day. I’m buried as well right now 🙂 So I’ll be in the kitchen as well. Can’t wait to hear how it turns out! 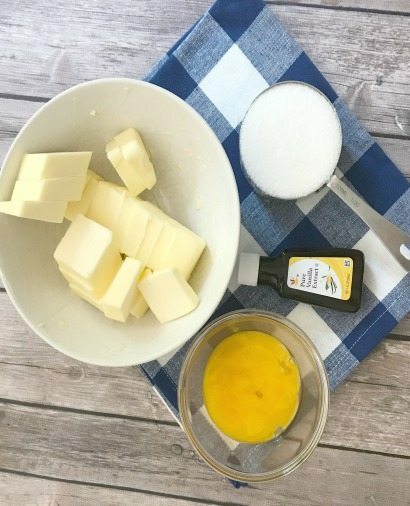 This is probably the most informative post I’ve read on how to make buttercream!! 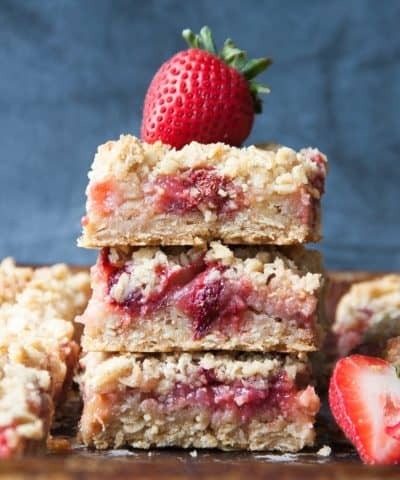 I love that you listed the difficulty level of this recipe but I’m trying to step up my game so this is right up my alley! Love that you explained the difference between French and Italian buttercream! Great article. Thanks so much for this one! Thanks Amanda! Glad you found the info helpful and hope you like it! I always wanted to learn how to make buttercream properly. Glad i found your instructions. Actually its pretty easy to make! Oh so glad to hear it Ruchi! Yes it’s not that hard to make 🙂 hope you like it! I had no idea how different French buttercream was .. great tutorial and super informative. 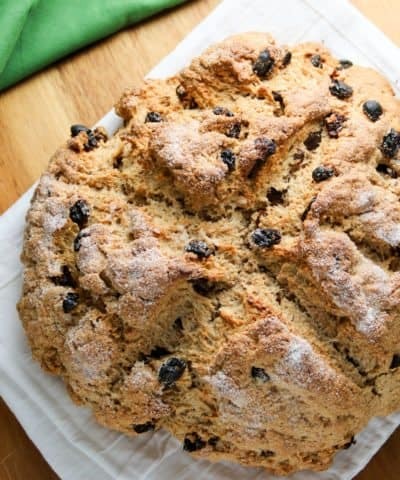 This seems very easy to make and I can’t wait to try this recipe.. This is just a beautiful classic. How absolutely yummy and pretty lost on this hemisphere. Thanks for sharing ! Aw thank you! Yes it’s definitely not a buttercream I grew up with but I’m so glad that I have discovered it. 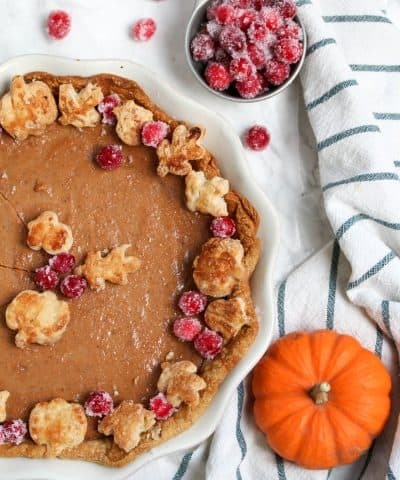 Are you able to add color to this recipe? 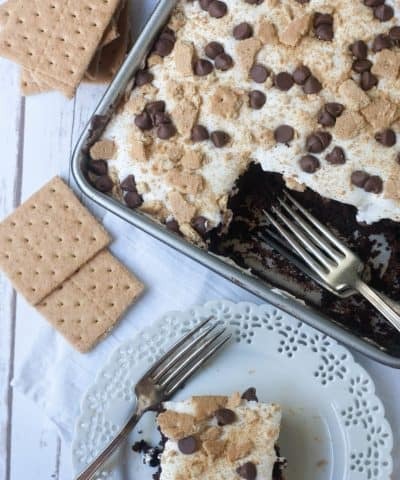 Can I pipe flowers with this recipe? Hi Kathleen! I haven’t before, but I don’t see why you couldn’t. Because of the yellow tint due to the egg yolks you might just need to add more than normal. I would recommend usign gel food coloring so as not to add extra liquid. I think it might be too soft though to possibly pipe flowers with..but I haven’t tried. I loved your French buttercream recipe! I recently wrote an article about how to make a small batch cream cheese frosting and I linked back to your blog in case people were curious about the French meringue frosting!